It is the ‘Year of Food and Drink‘ in Scotland! How much do you really know about whiskey? For instance, did you know that similar to Champagne, whiskey can not be referred to as “scotch” unless it is produced in Scotland – where many of the best whiskey in the world is produced? And, did you know that the term ‘whisky’ derives originally from the Gaelic ‘uisge beatha’, or ‘usquebaugh’, meaning ‘water of life’? And that Gaelic is that branch of Celtic spoken in the Highlands of Scotland? Whisky has been distilled in Scotland for hundreds of years. There is some evidence to show that the art of distilling could have been brought to the country by Christian missionary monks, but it has never been proved that Highland farmers did not themselves discover how to distill spirits from their surplus barley. This, in addition to the natural climate and resources found in Scotland, make the country perfect for producing whiskey. 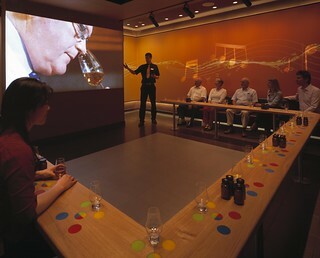 Undoubtedly the best place to learn about the history, how to make and blend whiskey, scotch terms, distilleries, and even a few cocktail recipes is at the Scotch Whiskey Experience in Edinburgh, which was awarded the British Travel Awards’ Bronze Medal – ‘Best Leisure Attraction’ in 2014. 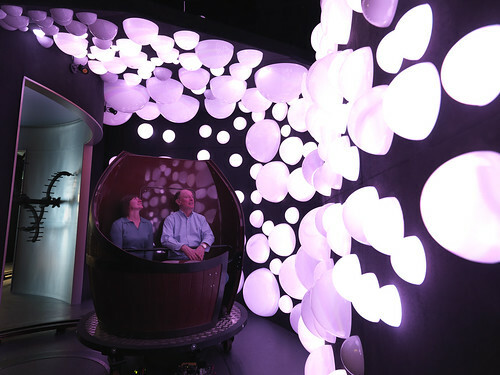 The Scotch Whisky Experience is a five-star rated visitor attraction located at the top of Edinburgh’s Royal Mile. 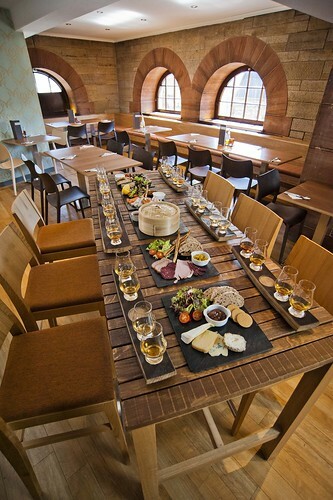 The fully guided tour (which is part ride) aims to educate and inspire visitors about Scotch Whisky, covering all aspects of production, geography, and appreciation. The tour is for everyone. It is available in 20 languages – including English, Gaelic, French, German, Spanish, Dutch, Portuguese, Italian, Japanese, Russian, Mandarin, Polish, Swedish, Hindi and Czech. 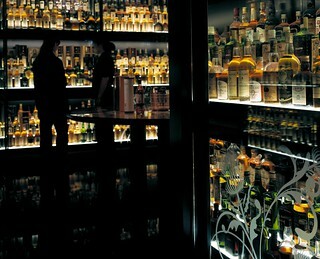 And, in May 2009, the Scotch Whisky Experience became the world’s largest collection of Scotch Whisky. A sight to behold! In the 1970s ,Claive Vidiz, a whisky enthusiast in Sao Paulo, Brazil and founding member of the Brazilian Association of Whisky Collectors, started to seek out and purchase Scotch whisky of varying types, costs, and rarity. He amassed almost 3,500 bottles over 35 years. His collection began when a Scottish business associate visited and, knowing his passion for Scotch, brought him a selection of 6 different bottles of Single Malt Whisky. He told him that he had chosen only the best and to share these bottles with his closest friends. Claive’s first encounter with Single Malt Scotch Whisky inspired him to put the sealed bottles on his top shelf and soon they were joined by others. From that point forward, there was nothing stopping him! In October 2006, The Collection was purchased by Scotch Whisky Distiller, Diageo. When Diageo brought the Claive Vidiz Collection home to Scotland, it was with a commitment to preserve the legacy, the passion with which it was collected and to share it with an international audience. 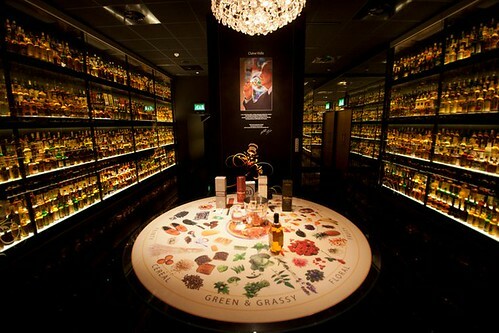 It was decided that this would be best achieved by locating it here at the Scotch Whisky Experience in the heart of Edinburgh, Scotland’s capital city. The establishment continues to collect recent new bottles of Scotch Whisky representing a range of distillers companies with the view to adding a new wing to the collection in years to come. The value of The Collection is unknown as it is without precedent; rare Scotch Whisky is usually sold in lots at auction. Head to the basement to Amber Restaurant, and enjoy some of the freshest local seafood (which is abundant in Scotland), or a delicious traditional local dish. They will even do a whiskey pairing for you! So go experience Scotch Whiskey all in one place. Mix your own blend, shop at one of the largest whiskey shops in the world. Taste Scotland! On Twitter? Follow @visitscotnews and use #TasteScotland to join in the conversation.